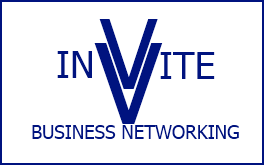 Dunfermline-based InVite Business Networking is holding its first ever InVite Business Networking Showcase on 22nd March. The event takes place in the Vine Conference Centre in Dunfermline’s Garvock Hill and aims to promote local small and medium-sized businesses to the community and to other businesses. The programme includes topical seminars delivered by local business, aimed at sharing ideas to encourage local business growth. Attendees are invited to approach the thirty stands where stand holders will be discussing their businesses, sharing ideas and seeking to forge bonds. Dunfermline MSP Bill Walker said: “I wish InVite great success with this event, which they hope will become annual. “The organisers behind the InVite Business Networking Group are working really hard to promote links between businesses in the local area. This Showcase is yet another of their innovative ideas. The Showcase takes place on Friday 22nd March between 9.30am and 12.30pm at The Vine Conference Centre, 131 Garvock Hill, Dunfermline, KY11 4JU. Tickets can be booked at http://invitenetworking-estw.eventbrite.co.uk/. Businesses wishing to have a stall at the event should email tim@vineconference.co.uk.